Security should be top priority for any commercial business. A business is open to more security risks because it has higher exposure to the public. If you own a business, you need to do whatever you can to make your company as secure as possible. That means making sure that your business is secured with Grade 1 high security locks. Fort Worth Locksmith Pros provides complete locksmith service in Fort Worth, TX and surrounding regions. We can install and repair your high security locks to give your business maximum protection for your property and your employees. Is Your Business As Secure As It Can Be? Ordinary locks can be easily vandalized by criminals who try to pick or break them. Locks that are classified at a Grade 1 level are made to resist vandalism. 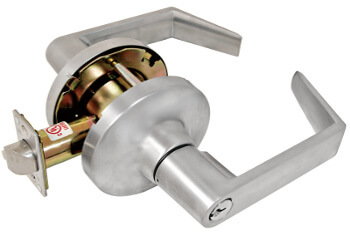 These locks are fitted with extra security features such as bolts that are extra long, plates with extra reinforcement, extra long screws, and pins that resist picking. If you want to avoid the problem of employees losing their keys or the hassle of changing locks every time an employee leaves the company, a keyless solution would be the ideal solution for you. You can consider biometric locks for maximum security. These locks allow access by using the fingerprints of your employees. This will ensure that no one can open the door except for authorized personnel. We excel in installing electronic locks such as these. Think about the last time you had the lock system at your business evaluated. Old locks can lose their integrity over time. They can get weaker, and they become easier to break and pick. If you want to improve the security of your current lock system, give us a call. Our highly trained expert technicians have 5+ years’ experience in installing and repairing all types of locks in offices, banks, government buildings, supermarkets, and other high profile buildings. We can replace your old locks with Grade 1 high security locks and give your business better protection. Whether your business is big or small, we can help you choose the best security system that will fit your business’ needs and budget. Over the years, we have earned the trust of our customers because we serve them with honesty and integrity. We realize that you want the best value for your investments. For that reason, we always offer competitive pricing before beginning any work so that you will not be surprised with any hidden costs. Furthermore, all of our technicians are licensed, bonded, and insured. 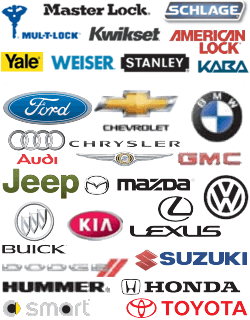 When you call us, you can rest assured that you will be working with the best lock service in the business. When you notice that the security of your company has been compromised, you must waste no time in securing the premises right away. Call our 24×7 Fort Worth, TX locksmith service, and our mobile locksmiths will come to your business within a 30 min response time. We will fit your business with Grade 1 high security locks or any other locks of your choice, and secure your company as quickly as possible. Even if you need lock assistance in the evenings, weekends, or holidays, you can count on us to be there. Even when other locksmith companies may be closed, we are always available to help you. We understand how hard you have worked to build up your business, and we want to help you protect what you have achieved. 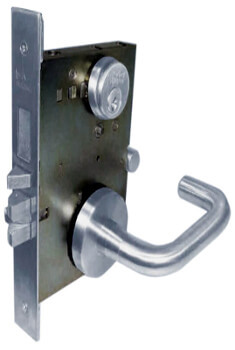 Do not allow your company’s security be compromised by old locks or locks that have malfunctioned. Contact us for an evaluation of your current lock system, and we can help you choose a system of Grade 1 high security locks that will provide maximum protection for your company from unauthorized intruders. Do not wait until something happens. You have too much to lose. Request high security lock installation online and give yourself better peace of mind. Grade 1, High Security Locks Installed and Repaired http://locksmithftworthtx.com/high-security-locks/ 4.1/5 based upon 16 reviews.